Lead Liaison platform helps companies attract, convert and close leads. "The Solution I Have Been Looking for the Last Two Years"
I like that I have one portal to do many things. The one-stop-shop solution coupled with the reporting capabilities, allows me to streamline my workflow. The training and continued support is fantastic. The whole team makes you feel like a partner from the start. It is a significant amount of work up front, but that is expected for this kind of all-encompassing solution. It is easy to grow impatient with the progress, but you know in the long run it will work out well. It can be a lot of work up front so be prepared for that, but if you just tackle one thing at a time, it is manageable with your current workload. The support at Lead Liason is super helpful too. I'm getting a good look at our web traffic patterns and how I can easily engage them with minimal effort. The landing pages are also more simplified so I can create them easier and be more productive elsewhere. Lead Liason will in the end save me time and generate good connections with customers. "No ROI and would not let me cancel"
The staff at Lead Liaison are great and they are always looking to help out so that you can get the best out of their system. Especially during the first 3 months when they get 1 person to look after you. Sadly the data is bad. Real bad. We were poached from a competitor where we were getting 2600% ROI. This was a bad business decision on our part. Lead Liaison promised the same level of visitor identification with many more extra features but it never stacked up. After 12 months we actually did not see a return on investment greater than the original investment. Conversely the competitor has seen a 1700% ROI just in month 1 upon returning to them. It's really difficult choosing a platform and Lead Liaison may well work for some people. From my own experience my advice would be not to jump ship from an existing solution that works, it's just too dangerous. From my previous comment we really don't' have an answer to this. The ideal was to have a single platform for identifying site visitors, doing marketing automation, landing pages and email campaigns. We found Lead Liaison to be a "jack of all trades, master of none". We have switched our entire tech stack to alternative platforms, at a lower cost, greater functionality and far greater ROI. It’s unfortunate James has left this review as we understand it reflects poorly on our business. However, this is an excellent opportunity to address this from Lead Liaison’s side and emphasize our willingness to help James and other companies similar to his. Our commitment to providing the best software, support, and building long lasting partnerships is unwavered and this case with is no different. 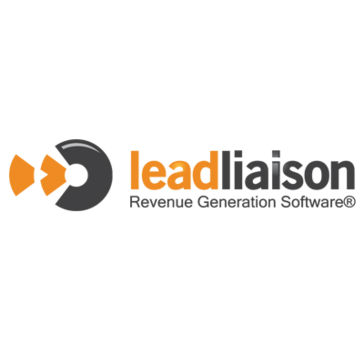 James and his company, Tablet Technologies, made a contractual commitment to use Lead Liaison as their partner for sales and marketing software. As a result, we made a commitment to support him 110% along the way, as we do with all of our clients. Despite multiple attempts to work with Tablet Technologies and navigate the changes in their organizational structure, James grew frustrated with his decision and wanted to break his commitment. Understandably, he was unable to do so. It’s important to note this was not the first time James wanted to change his commitment with us mid-stream. We take pride in supporting our clients and feel honored to have such great reviews about our company and our software. It should be noted that James’ colleague left positive feedback about Lead Liaison on this same review site approximately three (3) months prior to James’ review. We provided many hours of 1:1 live training, during their onboarding period and well beyond. We provided access to our learning platform where the client could get certified on Lead Liaison. We also provided our standard consultations from one of our Team Leads during the course of the relationship. Through our regular check-ins there was no mention of on-going dissatisfaction with our Service or results. This was despite our repeated suggestions to implement strategic and tactical methods that are proven to drive sales. In response to James’ data reference, James’ ROI concerns are unfounded and certainly subjective. We asked them to show areas in which other tools were tracking specific results that turned into business, but they would not supply such data. Lead Liaison readily concedes that our software is not magical, and if you do not use it in your sales and marketing process, it will not yield results. Lead Liaison believes in commitment and integrity. We expect the same from our business partners. Unfortunately, there will always be that 1% of people that do not share those values. We encourage readers to look through our other reviews, which will show our level of commitment to our clients and our solutions. We take pride in our business, and we love our customers! "great lead automation tool that syncs with Salesforce"
I like how it integrates with Salesforce and the support offered by the Lead Liaison Team. i dislike the text messaging feature, it is limited and a regular user is unable to set this up, someone with a more technological background would need to set this up. make sure you have a plan on how you want to use the product, provide use cases in order to insure they can do what you need them to do. Also make sure to have users that are willing to learn and get their hands dirty. The automation piece is great, it provides a lot of features like email automation, texting, segmentation. If you are using salesforce this tool works well when syncing. we are able to provide our marketing users the power to create lead automation and provide numbers in order to help make decisions on what to put their money in when it comes to Marketing Campaigns. "Excellent product and first class support"
Salesforce integration as good as it gets down to individual fields and how they sync. Support was the best, nothing too mch trouble and all questions answered very fast, during the 12 months I used Lead Liaison I also saw a lot of updates and improvements based on feedback. Not just a standard MA, includes capabiliies to include DM and also source content which was how I initially found Lead Liaison. Nothing, for the requirements we had it was a great fit. As with all martech you have to first map out all your business requirements and even more importantly make sure the employees are available to support the technology. There is no silver bullet and all Marketing Automation and customer journey configurations are complex so there has to be a dedicated expert available. For ResponseTap it was the best fit by far. Full visibility to each contact with the ability to nurture to leads and easily and quickly push to Salesforce for fast follow up. "Marketing Automation that helps us reach our goals with EXCELLENT CUSTOMER SUPPORT!" With Lead Liaison, we are able to frame conversations with prospects in a much more focused way. The email automation allows us to accomplish more at a lower cost, than if done manually. It lends for continuous improvement by allowing us to track and measure the results of our campaigns and then make make necessary adjustments, in near real-time. There are no aspects to date, that I dislike about Lead Liaison. Jump right in! This is the best solution if considering marketing automation. Support is amazing, always available, efficient and knowledgeable. The first thing we were able to accomplish is to have an intelligent marketing email automation in place, which is something that did not exist until we adopted Lead Liaison. "Lead Liason's Platform is Top-Notch"
I was originally going to pull the trigger on a competitors platform, but after talking to Lead Liaison was convinced to go with them. Their customer service is excellent and they are proactive in staying in touch to make sure all is going well. They are always enhancing the platform and rolling out new services. Can't really think of anything. I will say when I was researching platforms that their lead competitor was very pushy - almost like a sweat shop that they had to make the deal by Friday to get their commission, which really turned me off. Lead Liaison has been very professional throughout the process. Give it a trail. I think you'll like it. Getting insight as to who is coming to our site has been valuable. I particularly like the Gmail plugin that I use when sending a proposal out and getting immediately notified if that prospect comes into our website, which helps to time a follow-up. Lead Liaison made the time to make sure our team was able to learn the software and use it effectively. They are always reachable whenever we find ourselves stuck. I haven't come across an issue that their support couldn't assist in. I definitely recommend giving them a try. Let their team show you how they can help. Lead Liaison's integration with SalesForce has helped us compare what marketing strategies produce the most leads. The information gathered from the leads has been an invaluable resource, and the interface makes the metrics very easy to read. "Lead Liaison has made email marketing feel manageable. " I get emails letting me know when new tools are available so we are constantly changing up our strategy. Our account rep is also super quick to help when things don't go as planned or if we are not using the tool to the extent we could be. It is also very simple to tell who has opened and clicked within an email, making them a better candidate for future emails. Although new tool emails are informational, we have a lot of everyday traffic on our website so the Lead Liaison alerts clog up my inbox more than provide hot leads. We have very distinct messages for customers based on their location. Lead Liaison has helped us target customers down to the zip code so we don't confuse our customer base and can give accurate information. "Lead Liaison has become the foundation of our marketing strategy implementation"
One of the key reasons I like Lead Liaison is its technical support, which is way beyond any type of support I have received from a software company. But of course, I really like the tool itself and how broad its capabilities are. Instead of having different tools for various parts of our marketing strategy, Lead Liaison is able to perform all of those under one integrated platform. The fact that there are so many features in the tool can make it feel overwhelming at times. Also, there are places where the graphical interface interaction could be improved. These concerns are why I appreciate the technical support so much. Much of the issues I have raised have been integrated in later releases of the software. You will need someone with technical abilities (though not HTML coding skills) to successfully implement the tool. In our organization, we had a creative person developing the content and planning the strategy, and we had a analytical person who worked on implementing the processes in Lead Liaison. Keep in mind that this is not just an email campaign tool, even though it is quite good at this basic task. Our small business could not afford hiring multiple sales people to sell our consulting services nationwide. So we used Lead Liaison to magnify the people resources we did have. Lead Liaison saved us $200K per year on salaries while improving our ability to nurture relationships with visitors to our website. "Amazing platform and awesome custom solutions!" The user friendly interface is really attractive to our growing team and provides us easy ways to educate and train new staff members on the platform. There isn't any aspect of the tool we dislike. There are some features we are under utilizing, but we are looking to change that soon. Figure out what your low hanging fruit is and knock those items out first. Lead Liason's expert team did an outstanding job of helping us identify the path forward once we implemented the tool. Coming from the non-profit fundraising side of things, among dozens of benefits this tool gives us insight into our donors passion points and allows us to better understand and communicate with them in a strategic way. I love how easy to use the program is. It is very simple to set up email campaigns, lead nurturing and lead capture forms through Lead Liaison. It also integrates with Go-toWebinar and our Sitefinity CMS program. Lead Liaison's support team is the best. Whenever I have a question they are very quick to respond and to walk me through the solution in detail. I have given Lead Liasion feedback that has been implemented into their software within days. I simply couldn't do my job without Lead Liasion. Wish there was phone support. Email layouts look a little different if forwarded to colleagues. Just try it out already! Lead capture is #1. Setting up and tracking email campaigns has never been easier. "Lead Liaison has gone the extra mile to ensure our complete customer satisfaction "
Knowing that Lead Liaison will support our company from start to finish and provide training every step of the way has been a life saver. We will soon be self sufficient when it comes to setting up our various trade show and company related form template, connecting leads captured to Sales Force and making sure all business cards are transcribed for our European counterparts. What I like most is their flexibility and willingness to support us during an event and make updates on the fly when needed. There really isn't anything I dislike. Lead Liaison has made a number of product enhancements to meet our needs. I looked at a variety of lead capture companies to help us manage all of our manual trade show leads, and Lead Liaison really was the only company who could provide us with a tool that works both with WiFi and off line, the works on multiple types of mobile devices and who offered an easy to use platform with outstanding support. They even attended the first trade show where we used GoCapture for the first time to ensure everything was running smoothly for our sales team. They have provided us with outstanding customer service from the moment we engaged them for the first time, to now when we needed their help setting up our most recent European trade show. I would highly recommend Lead Liaison to anyone looking for a lead capture & management tool. The largest problem we are solving by using Lead Liaison is reducing the amount of time we are spending on manual data entry. We are spending a great deal of time manually entering paper trade show leads into our CRM tool, Sales Force. Not only is manual data entry a time consuming activity, having to decipher multiple sales managers hand writing is not an easy task. Being able to create a lead form that mimics our paper form exactly was a huge plus. Being able to customize our forms to mimic the customized fields we've created in Sales Force makes syncing / uploading our leads a breeze. Lead liaison is powerful, easy to use software thanks to the customer support team who never fail to impress. No matter how complex the question or problem, the team consistently goes above and beyond to solve it while maintaining user friendliness. When we needed a landing page that was a bit more complex than the built-in page creator was able to manage, the team built us a template page with content that we could easily replace ourselves. Lead Liaison is a valuable tool that I am sure will only continue to advance in in functionality and user experience. "Quick, flexible, and easy to use"
I like how easy the program is to use. Setting up forms and landing pages is quick, and Marketing is able to carry out these processes without needing a web developer's assistance or knowledge of code. The processes we've set up in Lead Liaison have always performed well and the program is reliable. I especially like how they've helped us out with some custom solutions quickly when we needed it. If we needed a process that didn't exist in the standard program, they were willing to craft it for us. No real dislikes so far. Whenever we've run into an issue the Lead Liaison team is always helpful and guides us towards a solution. A few times they've created custom solutions for us to achieve what we want, so this is actually a positive testament to their willingness to help their customers in a personalized way. Our company needed a way to track incoming leads automatically and create customized forms and landing pages, and Lead Liaison has helped us do that. Without this, we would have been stuck with manually exporting and emailing Excel data from our email landing pages for entry into our lead management system. We also recently expanded our use of Lead Liaison by implementing forms into our company's microsites, and in 2017 we plan on utilizing Lead Liaison even more for creating additional landing pages and forms to help manage other aspects of our company's marketing. Very powerful software. If you are small or medium business, this will suit you. They have a great customer service and very nice people to deal any communication issues regarding the software. The contract is by year and you need to give notice within one month before the contract will Auto renew. SO this is very tricky if you are not dealing with the contract and you jsut use the software. i strongly recommend, but they need to keep an eye on the date of the conttract, otherwise you are stuck to pay a lot of money. Real-time tracking of website visitors helps our sales team monitor what people are viewing, and where the most interest lies. The email system has improved dramatically over the last couple of years, but the WYSIWYG element can occasionally go wonky, and we need to go into the HTML code to fix it, or make something look the way we want it to look. Frankly, we are only using maybe half of what Lead Liaison offers, but as we expand and grow, we know we have the tools we need to keep on top of our sales leads and email campaigns. If you're interested in a full-featured system to monitor and increase website and email revenue generation, Lead Liaison is more than worth a look. The website tracking and alerts help our sales team monitor interest, tying email and landing pages to a particular campaign, and the statistics of sending a campaign help us to tweak the message to increase open rates and click-throughs. "Fantastic Software with even Better support"
They have an integrated software platform with separate modules that can be activated all together or one at a time allowing for an a la cart menu that you can build as your ROI increases with the use of their tools. Tracking visitors on our website helps us see who is interested in our product and if we have been successful in engaging potential clients at conferences and through our email marketing campaigns. Also, the customer support is bar none the best I have ever had with regards to software. If I have questions, need help optimizing my usage of the software, or want to see a demo...they are a phone call away and are happy to help. Chris E. and Ryan S. my account manager and performance specialist respectively are incredibly knowledgeable and extremely helpful. I am not sure if you can request who helps you, but I recommend these guys if you can get them. The module system is a double edged sword that can become quite costly once you start seeing (and wanting) all of the great functionality that each one adds. I work for a software company that has a very similar sales model so I am familiar with the positives and negatives with this structure. That being said....It is still an affordable solution for most companies. Make sure that you have a solid manager who is willing to put in a little bit of time to really learn the software. You will optimize your ROI if you do this. We are working on building an in house sales team. this product has allowed me to manage all aspects of our sales process. From lead generation to task delegation I now get to have an over head view of everything we are doing as a team. "Good software, occasionally difficult, but incredibly flexible." The flexibility in the platform is huge for our lead scoring and automation operation. The UI is a little out-dated, and can make doing simple tasks harder than it should be. We solve our lead quality issues with Lead Liaison - before, hundreds of leads would drown our sales team, and have them wasting time on poor prospects. Lead Liaison prevents this. "Excellent MA & CRM Software"
Nothing signficant. We have identified some areas of development, many of these have already been implemented and and I am confident that others are in the programme. Generating more leads and better sales conversion for ourselves and for customers. The representatives are very responsive. They go above and beyond to make sure your questions are met and are happy to take suggestions on how to make the software better. I don't have an answer. The software is user friendly, they give you a personal tutorial and again, the representative are always at hand to handle any other questions or concerns you may encounter. We are focused on generating leads and understanding where they are coming from, as well as, how to optimize the user experience base on the information gathered by lead liaison. We have been able to track our users to develop better web pages and help the user get answers on our website quicker and simpler. "Excellent software - outstanding support"
Well, it´s easy to integrate, easy to manage and simply working. In the last years we had nearly no issues at all. And if there´s any question (sure you´ll have some...) it´s answered. Even new features, suggestions and other requests are picked up and realized in short time. So if you want a good software, LeadLisison is one of your options. If you want to get also outstanding support, a helping hand and a excellent SLA, this might be your choice. You are not a number. Not only a customer. You´ll be a partner. We´re safely tracking our web-activities, letting them handle our newlettters and -- whoooa -- boosting sales. Really. "Great platform, even better support"
The platform was very intuitive and user friendly, while also having a ton of bells and whistles. Also, the support was best in class. They go above and beyond to make onboarding and implementation as easy as possible. The continued support was also excellent and very responsive. There are quite a few bells and whistles which could be overwhelming to some at first, but with the support of the LeadLiaison team, Im confident they could make it easy for anyone. Does a lot of what Hubspot does for a fraction of the price! Lead generation and nurture. During the time we used LeadLiaison, we did not have a solid strategy so things kept changing internally so we never really got to see the full impact of the platform. The can-do attitude of the team and willingness to help. Only the challenges that come with learning a new tool, the frustration that comes from being a beginner again. I would recommend that you leverage the knowledge of the Lead Liason team when scoping out your project plan. They are a great resource. Capturing potential clients behaviors to better serve their needs by making sure no lead goes unnoticed. LiadLiason captures data that allows us to make better decisions to services our leads. landing Pages, email automation, CRM, all in one - helpful. It takes a while to get used to all the functionality and the LL terminology. It’s very comprehensive - which takes getting used to. "A One Stop For All Your Marketing Efforts"
Lead Liaison is a one stop for all our marketing needs. The customer service we receive from our account manager is always top notch. He is very responsive and is always attentive to or queries. The fact that we are able to see any monitor prospects that go to our website makes life for our sales/marketing team more informed and better able to handle the leads coming in. The email marketing platform allows us to get emails out to our audience and I have noticed improvements are being made all the time. Lead Liaison is not a cookie cutter type program that you can pull out of the box and use a quick guide to get setup and go. You really need to dig deep and learn the benefits of the program and set it up correctly in order for it to work as it is intended. Make sure you take the time to learn all the benefits that Lead Liaison has to offer so you are able to advantage of all it has to offer. We are able to identify repeat prospects, determine if they are qualified and turn them into customers. "Lead Liaison for the win"
I love the fact that Lead Liaison covers the full spectrum of marketing automation, including integration with our Salesforce.com leads database and our WordPress site. Lead Liaison lets me focus on the marketing while it sorts out all of the technical details, connections, etc. Lead Liaison is also highly configurable, which means I get to tailor the inbound experience, vs shaping it to conform with the way the software works. Also, customer support is top notch, you could not get better anywhere. There is little to dislike about Lead Liaison, but since input is required here, I guess I will pick on the old user interface, which took some time to learn. They have launched a brand new user interface and I am finding it much easier to navigate and use. If you haven't looked at LL in a while, it's worth checking out the new UI. Although Lead Liaison doesn't have a big brand name and does not have the same level of recognition as some of their competitors, they are definitely offer a dependable, high-quality solution that has support that is second to none. We implemented Lead Liaison to help us identify and nurture leads. Lead Liaison takes the pressure off of marketing and sales to manually monitor and respond to website visitors and allows us to centralize all our online marketing activities into a single platform. It is so great to have classy emails go out to our clients and prospects without any hesitation. The team has helped us to make everything seamless. Everything has gone smoothly so far. We do not have any complaints. Emails are now being accurately tracked and vetted. We are able to attach emails to our Salesforce CRM and also track who is opening an email which will help us reach out to potential clients. Hi Nick! I noticed that you said that you'd like the ability to personalise content and graphics by segment. Great news! You CAN personalize content and graphics by segment! Our website personalization solution, SiteEngage™, is a part of your license. I will reach out to you personally to cover this add-on in more detail and make sure you know how to implement with your website. Talk soon! "Lead Liaison is a trusted partner for the growth of my business AND my clients!" The deciding factor in choosing Lead Liaison (after much discussion and analysis) is that they actually function as a TRUE partner in the growth of my business AND my clients. There are many choices out there in terms of email marketing solutions, but I felt they were all just trying to sell me something and move on to their next "prospect". Lead Liaison actually partners with me to provide solutions that are appropriate for not only my business, but my client's as well....a RARE commodity these days! They actually follow up and do what they say they are going to do....rare indeed! They do a great job keeping me updated on new things they are working on or rolling out and let me know how it can be integrated into my client base. They actually care about your success! Impeccable client service as well. I highly recommend Lead Liaison! They are a GREAT resource full of talented people to partner with you! I am able to reach more clients and prospecting becomes more targeted because of the feedback you can retrieve thru the system. It is another tool for my online marketing agency, so it benefits me as well as clients. Clearly proven services = more revenue and a deeper, longer lasting relationship with clients! "Flexible & Powerful Marketing Automation Tool"
I love the ability to set up and monitor marketing content tracking from one central location. Additionally, the ability to track prospects (actual individuals -- and know who they are) and their activities on my website. Lead Liaison provides powerful insight into what content resonates with visitors, and helps me know when a lead is ready for a follow up. It would be nice to be able to use video platforms other than Wistia to track video views. Lead Liaison is a perfect alternative to other marketing automation solutions that include features you may not need -- creating and supporting a full website, built-in CRM functionality. Lead Liaison works with your existing website and integrates (or can sync with) many well known CRM and email marketing platforms. With Lead Liaison we have been able to gain better control over our marketing automation efforts. Lead Liaison ha allowed us to centralize many different content publishing and tracking efforts from email to social to website traffic. In addition, Lead Liaison has taken us a step beyond simply monitoring and analyzing website visit metrics. With Lead Liaison, we are able to see what companies are visiting our website. If we send an email that triggers a visit or if a visitor fills out a form, we can see what actions specific individuals are taking on our site. This is vital to great followup with potential customers! We are getting a glimpse as to who is coming to our website. "Helps us create content that users will read and helps with informed selling"
Our team really enjoys the daily lead report. It is nice to wake up in the morning and see the volume of site traffic with lots of click-throughs and return visitors. Plus, seeing the referrer source right off the bat helps marketing to determine where to best allocated budget dollars in relation to search engine presence. The system is great, but the team behind the system is even better. Such a friendly group and they are always willing to customize the system and make updates in the next release based on our team's feedback. They are willing to go the extra mile to ensure that we are happy customers. Not necessarily dislikes, but areas for improvement. for the individual e-mail identification, it would be nice if the system could send to all recipients instead of parsing 1:1 - our team always forgets about this and it does create some confusion on the recipient end, however I'm not well versed in IT, so I'm not sure this is possible. At times there is almost too much information available - I find that if I don't create a filter to drill down and find specific information, I spend a lot of time scrolling horizontally to take in all of the data in various columns. Understand that from the administrator perspective, it will take some time for you to get acquainted with the system and get features set up. I knew there would be setup involved but I got to a point where I had to sit down and dedicate 1.5 days to making sure I explored all of the features. Then, disseminating the information to the other users took some time. You'll save a lot of time if you can have all of your users sit in on your initial setup meeting with their team. Understand exactly what features you are getting with the modules you purchased. We use visitor tracking only and I find myself clicking into features that we do not have access to (they exist on the UI in full color so it is hard to differentiate, as a new user, what you have purchased and what is an add on) and wishing I had those modules. Our sales team is better able to tailor their approach during cold calls after seeing a company's activity on our website. The nature of our business is such that there is a lot of opportunity to cross sell to existing clients, so sales has closed deals a lot more efficiently when they see a current client on our site. Marketing is able to see what content is most popular and tailor appropriately to meet the interest of our target audience. They are very flexible. We use this instead of a full blown CRM, and it works perfectly. The additional insight is spot on. nothing yet. I believe that if i do the company will respond quickly. we do not (and will not) use a CRM. This software acts as our lead repository and it works perfectly. In addition, when we want new capabilities they are more than willing to make them for us. We moved between different CRMs including pipedrive, salesforce, and more. It's awesome that everything is integrated here. Not to mention, it is indepth and detailed. Very great for data driven software. The only thing I wish was a little bit better was maybe the GUI. It looks a little bit dated but that is just me being very picky. It works great. Use if you are annoyed with cluttered CRMs and lost data because you've swapped too much. We always switched between CRMs and the hardest part was keeping track of all the businesses we were in contact with (talked to over 50 a week with a sales team of 2). With that said, it got cluttered very quickly. "Great CRM for Marketing teams"
Lead Liaison empowers marketing teams to manage and automate lead nurturing strategies. I wish Lead Liaison had a better visual UI and visual components for their landing page platform. Great CRM tool, excellent customer support. Email campaigns, web to lead forms, lead generation and lead nurturing strategies. "I found that the product is great and the customer service is exceptional." Knowing who visits my company's website is critical for our sales process. I really like how I get a report every morning and if I have a any issues, there are two people who are assigned to my account that I can email or call. I wish I had known about the service earlier. I missed out on a few years of data. A good example was that I sent a prospect an email. I saw that a few of their people visited our website, so I emailed them again a few days later and they responded and agreed to meet. I doubt I would have sent that second email without knowing they were on our website. Lead Liaison is easy to use, has an excellent support team and response time. Support is very open to special requests and functionality that suits our needs. Our company still has a lot to learn about the product and what it can do but we discover new features daily and we are excited to have Lead Liaison as part of our marketing strategy. Not much, whenever there is an issue of function that we are looking for the support team is very responsive and helps us solve problems. We can now see who our audience is and respond to them in a specific manner. Lead Liaison provides me with the reporting, data analysis, and flexible marketing automation to make better decisions on where my Marketing dollars are being spent and driving the quality leads for increasing sales. With so many great tools, we don't want to miss out on using the efficiency of the product. CRMs are just data points, but Lead Liaison provides us a true picture of our buyer, nurturing capabilities and segmentation to continue conversations that result in relationships. I appreciate the predictive modeling tool. B2B, at certain levels, are not utilizing the details on how marketing and sales are working together for better understanding of your sales life-cycle. "Great software and Awesome service"
marketing automation program. Provides great tracking, metrics, and automation depending on recipients behavior. Set it and go! "Full featured lead generation software"
Lead Liaison has all the features typically need to prospect, nurture and close sales deals. It is feature rich and user friendly. The software can be a bit more intuitive to use. Sometimes it take a bit of time to figure things out. Once you have used it a few times then it becomes easy. Automated prospecting and nurturing leads. Reduces effort in prospecting and cold calling. When we need custom solutions, Lead Liaison adapts their software functionality and attributes to meet our needs. There is nothing that I have encountered that i have disliked. Allows us to track leads from start to finish and is friendly and compatible with other softwares we use. "Great service and features! " Tracking capabilities, and the interface is intuitive. It suits us just fine for our purposes. "An emerging product worth your consideration"
The product team is always working on the software and reinvesting in the product increasing the value. The team is creating new and innovative products that I am excited to see more of! The software has been a great help for my organization. The implementation process and learning curve were a bit steep for someone without access to their code directly. It's the core product for our marketing and sales efforts, so many. They have all the capabilities of the big marketing automation platforms but what really sets them apart is the support, which is awesome. Navigating through the platform can be a tad cumbersome. I wouldn't hesitate to recommend Lead Liaison. In fact, I have recommended it on several occassions. We needed a platform for email automation and prospect nurturing and Lead Liaison has definitely helped our bottom line. Incredibly robust product for the price point. It holds up very well against competitors such as Hubspot, Marketo, etc. at a fraction of the cost. UI is challenging, but their sales team has stated they are working on it and the new release is helpful. Increased productivity. Increased Funnel Intelligence. It's worth a demo, everything I can think of, this software can do. The service team is incredibly responsive and helpful with all questions. The user experience seems poorly planned so learning the software is slightly difficult. Increased sales, increased productivity, increased strategic involvement. * We monitor all Lead Liaison reviews to prevent fraudulent reviews and keep review quality high. We do not post reviews by company employees or direct competitors. Validated reviews require the user to submit a screenshot of the product containing their user ID, in order to verify a user is an actual user of the product. Hi there! Are you looking to implement a solution like Lead Liaison?